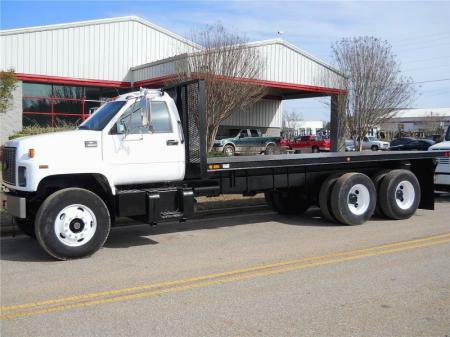 We have a large selection of used heavy duty flatbed tandem trucks with beds ranging from 21 to 26 feet long with moffett kits. 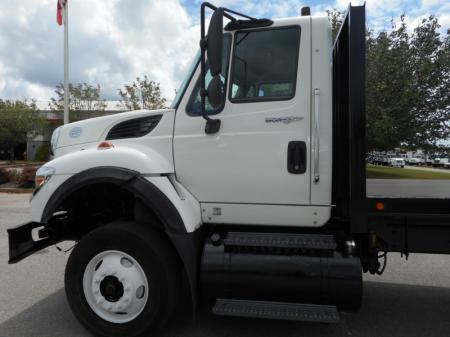 Our trucks have heavy specifications and most are 52,000 GVW. They are built carry the heaviest of loads. We also can install a moffett kit on your truck right here in our service shop. Our sales staff can pick the perfect combination of flatbed truck and moffett for your budget. We offer a large selection of pre-emission trucks which are easier and less expensive to work on and have better gas mileage. 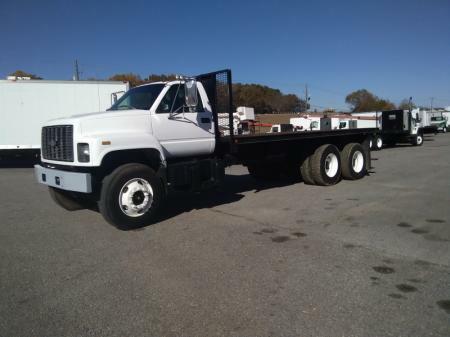 If you are searching for used trucks for sale, this is the perfect stop for you. 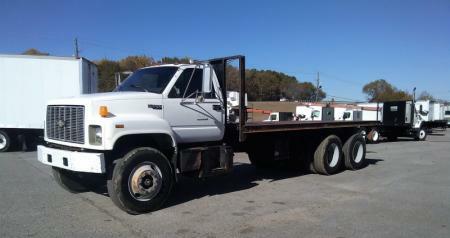 We are proud to present several options when it comes to buying trucks online. As you go through our inventory, you will find a wide variety of models and makes for trailers, trucks, heavy equipment and forklifts. Moffett’s come in several variable models, the Moffett M500 (or plus), the late Moffett M50-M55 and so many other options. We are your one-stop for Moffett piggyback forklifts in Alabama! 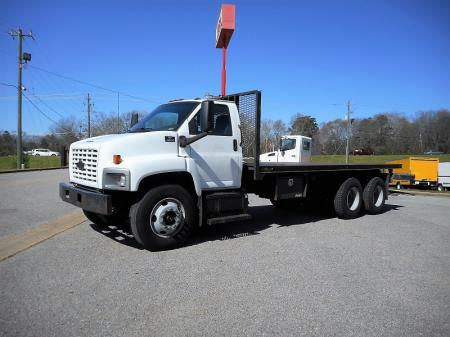 We are also proud to present an option to buy a brand new truck, whether it is a flatbed, crane truck or any truck type you are searching for to ensure smooth operations of your business, we have it all right here. 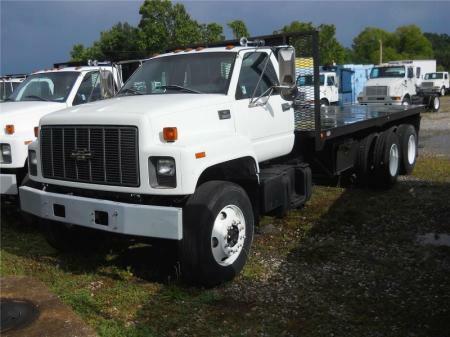 Other makes available here include Chevrolet, Freightliner trucks, International and more on a daily basis. 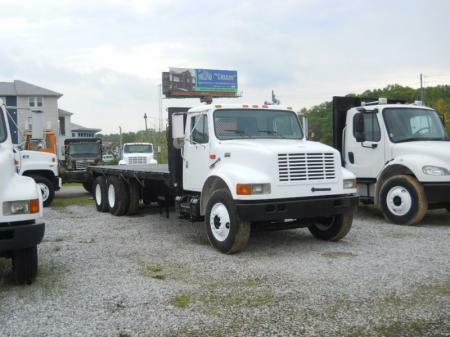 The Freightliner trucks for sale in our inventory are nice, clean and have the popular Moffett kits already installed. The bed has wool with steel, 9-speed transmission, fuller and more. These ranges of trucks in the store are great to be working with since they have heavy specifications. With that said above, there is a good chance that you will find a piece of equipment in our inventory that will suit all your needs! Everything is right here. You can simply click on a picture of the truck and access all its details, including the make, year, model, condition, horsepower, mileage and more. Our inventory at Moffett Trucks is not only an extensive one, but keeps changing with equipment ranging from crane trucks, bucket trucks, used beverage trucks, and a lot more. At Moffett Truck, what you see in our inventory is not where your options will end. 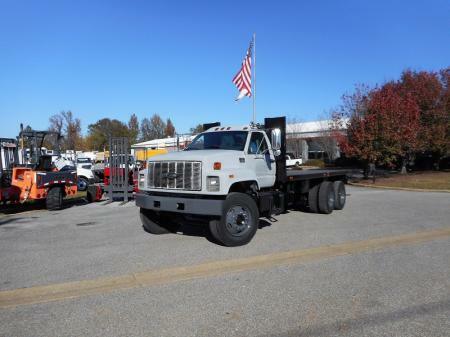 Along with offering a wide selection of used trucks for sale, we also specialize in modifying any piece of equipment you choose. We modify it to your needs with our excellent up-fitting services. This simply means that the single axle, tandem axle, crane truck and more you will find in our inventory have untapped potential that could be put to work for you. 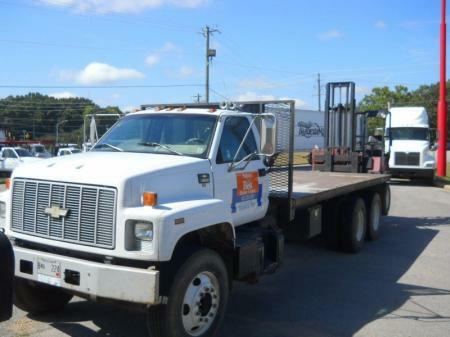 If you are not able to find what you need in our heavy truck inventory, simply get in touch with and our team will eagerly help you locate any equipment in a timely manner.